The early 2000s were full studies that suggested people should no longer eat eggs or red meat due to health issues. 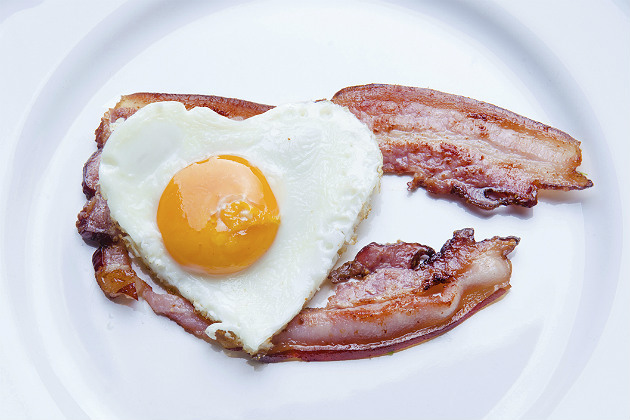 Information came out that exposed the risks of eating eggs, which included heart disease and raised cholesterol levels. Red meat was accused of causing heart failure and heart disease. The following years saw Americans avoid red meat and eggs at all costs. But how correct were those studies? New research is now being presented in the U.K. and the U.S. that debunk the previous beliefs that eggs and red meat are hazardous for your health. Perhaps they're not so bad after all. The American Heart Association is one of the strongest protestors when it comes to the consumption of eggs. They recommend a limit of 300 mg of cholesterol per day, and two eggs exceeds that limit. For people with high cholesterol, doctors only recommend 2-4 eggs per week. To this day, the AHA stands by this decision, even though studies have been coming out continuously since 2006 proving that this is not the case. In fact, it has been proven that egg yolks are not only full of vitamins and nutrition, but they also increase your HDL levels, also known as "good" cholesterol. But that's not all. "Egg yolks contain 90 percent of the calcium, iron, phosphorus, zinc, thiamin, B6, folate, pantothenic acid and B12 of the egg," according to John Berardi, Ph.D. They also contain antioxidants and omega-3 fatty acids and change dense LDL cholesterol to large LDL, which is harmless. If this is the case, why do doctors still insist that you shouldn't eat more than one or two eggs per day? Well, for starters, it can be difficult for doctors to keep up with the latest studies, because they have an entire specialty to keep up with. Secondly, none of these studies has been widely published within the U.S. If you were to ask the average American, most would have no idea that these studies even took place, or that WebMD has also given eggs the green light. No one is certain why this is, and there is plenty of room for speculation. However, it can be concluded that eggs are not only incredibly beneficial, but they are also safe to eat in larger quantities unless you are diabetic or have hypercholesterolemia. As it turns out, red meat is another misunderstood aspect of the food group. How many people have seen the headlines that red meat causes cancer? That it causes heart disease? That the iron in red meat is a "red flag"? Note that there are no links to the study or any kind of evidence for that link. Yet when you google "red meat," it is one of the first stories that comes up. At this rate, the media and medical sources have basically labelled red meat as too dangerous to consume — ever. However, as with eggs, new research suggests that red meat may actually have nothing to do with heart disease, and it does not increase a person's risk. According to the Mayo Clinic, several studies completed by Harvard have found that red meat does not impact a person's chance of heart disease, one of the billboard warnings for red meat in the past. The Guardian recently posted one of the largest studies ever completed in history on red meat and its consequences, but they didn't stop there. They also attacked studies on butter and cheese that stated margarine is much healthier than butter because people should avoid saturated fats at all costs. "The anti-saturated fat dogma gave manufacturers the perfect excuse to wean us off real foods that had sustained us for centuries, now portrayed as natural-born killers, on to more lucrative, nutrient-light processed products, stiff with additives and cheap fillers," according to The Guardian. But with all the fear and concern related to chemical additives, they have not been separated in studies completed on red meat. "The weak epidemiological evidence that appears to implicate red meat does not separate well-reared, unprocessed meat from the factory-farmed, heavily-processed equivalent that contains a cocktail of chemical additives, preservatives and so on," according to The Guardian. On top of all this, no one has pointed out the fact that lamb and beef (grass-fed and free range) are a top source of conjugated linoleic acid, which reduces the risk of cancer, obesity and diabetes. If this is the case, why are more studies not being completed on the effects of processed food? Why are meats pumped with antibiotics being sold in bulk, rather than organic meat? As usual it comes down to money. A wonderful video below, provided by Chipotle, makes no bones about whether large companies use chemicals on their animals to make them become fatter, faster. Instead, all red meat is targeted as unhealthy, when in fact many reviews of studies that link red meat and cancer have reported inconclusive results. It should also be pointed out that there have been studies completed that prove that red meat supports cognitive function, immune health and iron deficiencies. One aspect of these studies that condemn red meat that is rarely mentioned is that they are observational. Observational studies draw inferences about possible effects of a treatment on subjects. Simply said, they are unreliable and limited. A great example of an experiment vs. observational study can be found here. While there are studies supporting the danger of red meat, there are as many, if not more, experiments and research that completely debunk or refute these studies. Eggs are healthy and so is organic, grass-fed red meat. This does not mean you should overindulge, but it does mean that you shouldn't have to feel guilty or worried if you eat a steak for dinner or eggs for breakfast. Hopefully, as the experiments continue, the government and health organizations will feel less compelled to blacklist these foods, and instead turn their focus on the dangers of preservatives.